At the charming Crystal Sea Hotel, you can enjoy a relaxing holiday with stunning views of the bay. 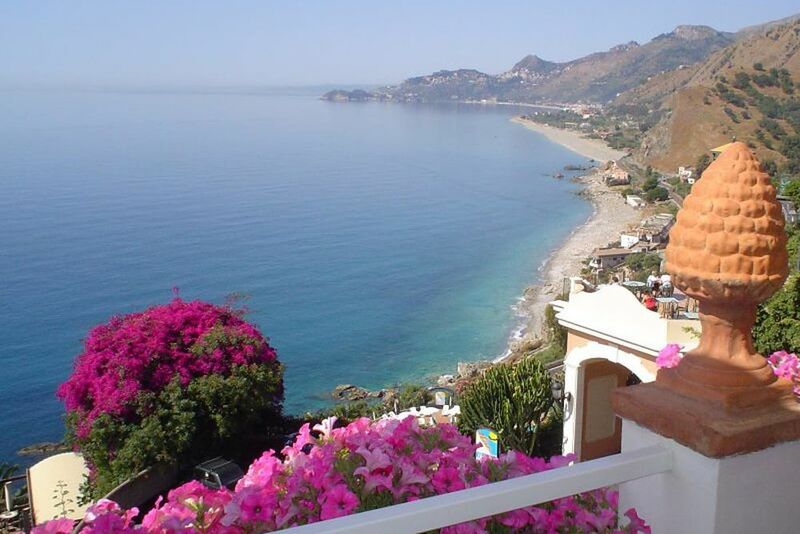 Check into the Crystal Sea Hotel and explore Sicily's cultural surroundings. Relax by the outdoor pool on the beautiful sun terrace and enjoy the wonderful atmosphere. All 39 rooms are lovingly and comfortably furnished. 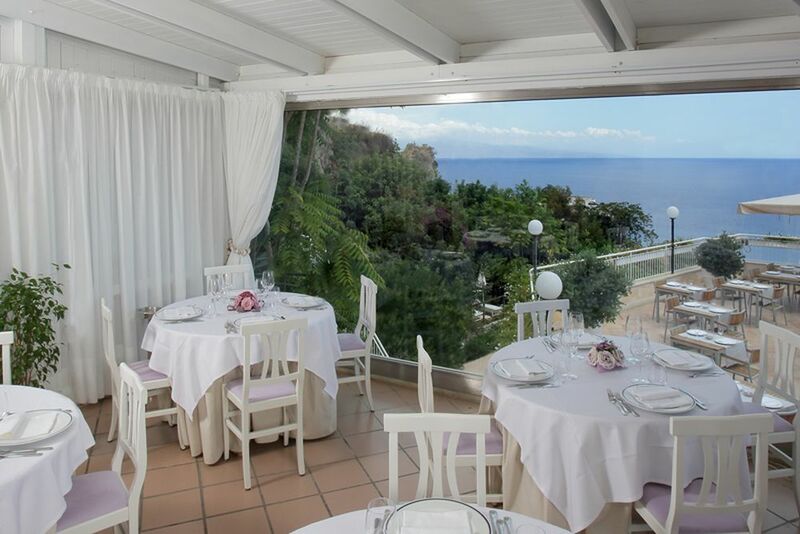 Fresh, local and seasonal produce are served daily in the Crystal Sea Hotel's superb restaurant. 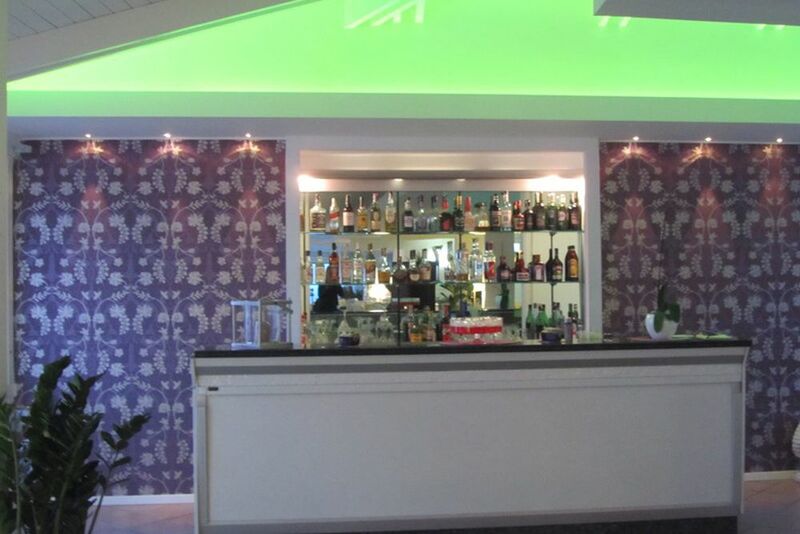 Let yourself be pampered at the hotel bar with fruity cocktails and refreshing drinks. The charming Crystal Sea Hotel will lure you in with its relaxing atmosphere and beautiful sun terraces boasting views of the azure sea. Just north of Taormina, it is the ideal location for excursions of the culturally rich surroundings and Etna National Park. Crystal Sea hotel’s quiet and protected position makes it an ideal destination to discover ultimate relaxation, but at the same time explore the possibilities of a charming social life at Taormina (7 km away). Located in Forza D’Argo, in the northeast of Sicily, discover the cultural island with its many sights and natural parks in the surrounding areas. Enjoy the relaxed atmosphere of the beach (only 3 km away), sunbathe by the pool, or go on a discovery tour through the region. Opportunities to relax or adventure are endless! The center of Taormina is only 5 km away, the northern slope of Mount Etna is only 45 km away and the airport of Catania is about 40 km away. 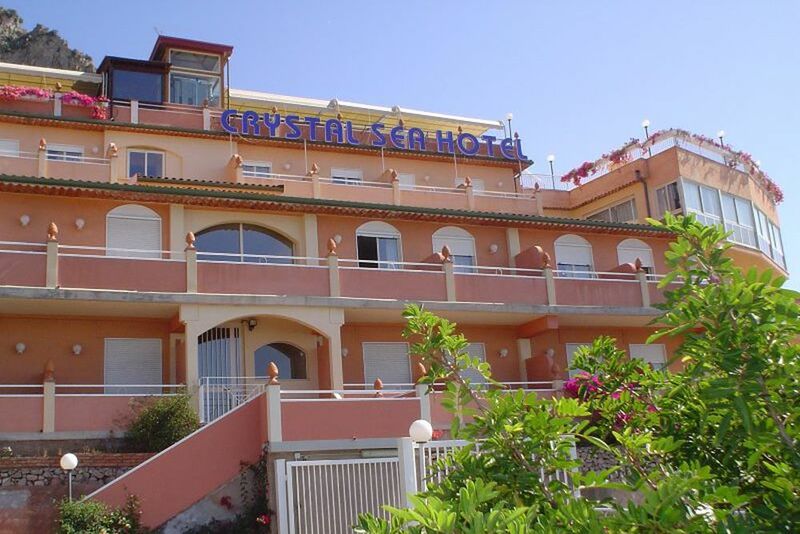 Crystal Sea Hotel is a modern structure offering guests every comfort in a peaceful atmosphere. Spend the day in peace by the swimming pool, solarium and the beautiful terraces of natural vegetation. The pool bar serves light snacks and fresh cocktails throughout the day and into the evening. Experience the excellence of the hotel’s restaurant—the ideal place to start the day while enjoying stunning views of the bay. In the evening, join the restaurant for a freshly prepared romantic dinner! Indulge in market fresh, regional and seasonal products whilst enjoying incomparable views of the Mediterranean and Taormina. NOTE: A tourist tax of 2€/person per day will be charged upon arrival. As usual in many regions of Italy, the use of the beach is subject to charges. Currently, the hotel’s beach costs 7€/person per day! All 39 rooms have a terrace overlooking the sea and are fully equipped with a hair dryer, telephone, satellite TV, free Wi-Fi, minibar, air conditioning, and a safe. 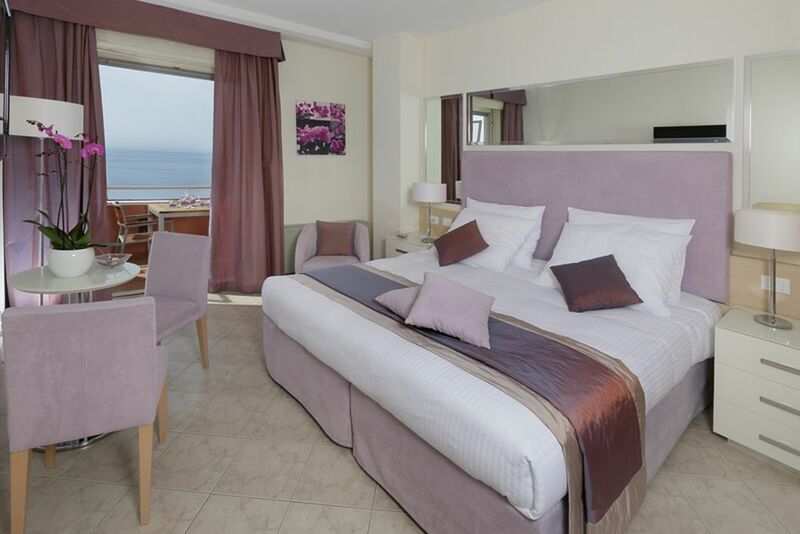 Sea View—Charming double room with a balcony boasting incredible views of the endless sea. For a maximum of 2 people. 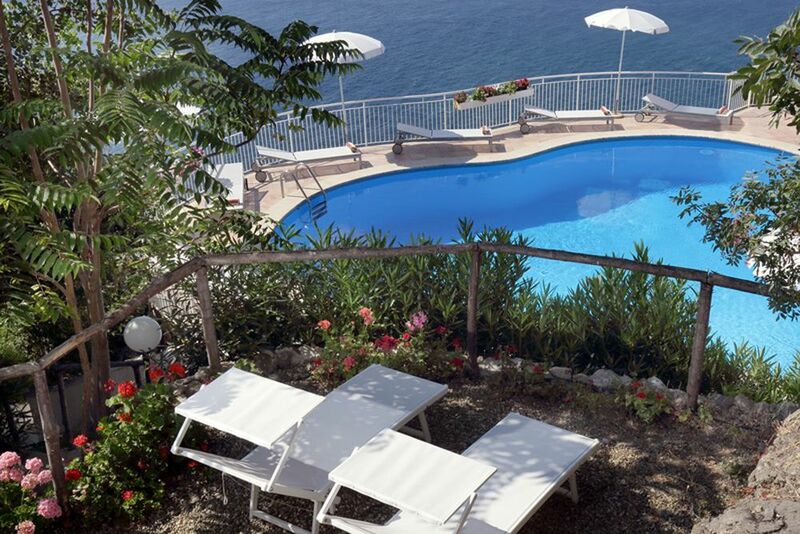 The pool area and the sun terrace invite you to relaxing hours under the Sicilian sun. A free shuttle service will take you to the beach, which is about 3 km away and offers sunbeds and umbrellas for a fee (currently EUR 7 per person / day), as well as changing rooms, showers, sanitary facilities and catering facilities. The surrounding area is great for excursions and day trips. Discover the diversity of the region and enjoy the Italian way of life.